This nourishing moisturizer with SPF is formulated with an outstanding blend of UV-protecting ingredients, including Z-Cote, an effective barrier that provides superior broad spectrum UVA/UVB protection. 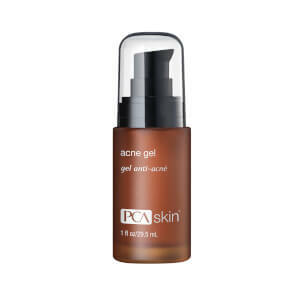 This product was specifically formulated with moisturizing Hyaluronic Acid and Sodium PCA for dry or dehydrated skin. Silybin, also known as Milk Thistle, and Caffeine provide superior antioxidant action to help maintain skin health during exposure. 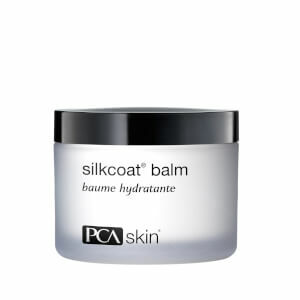 Smooth a nickel-sized amount onto skin after cleansing, toning and applying any PCA SKIN treatment serums. Allow to absorb 30 minutes prior to daytime exposure. 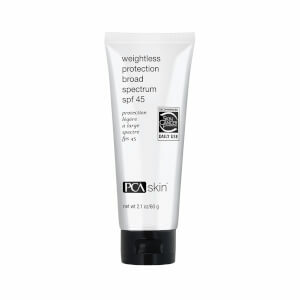 Reapply after two hours of sun exposure and repeat every two hours as needed. Other Ingredients: Allantoin, Aloe Barbadensis Leaf Extract, Butylene Glycol, Caffeine, Cetearyl Glucoside, Cetyl Alcohol, Dimethicone, Ethylhexyl Isononanoate, Glycerin, Glyceryl Stearate, Hydroxyethyl Acrylate/Sodium Acryloyldimethyl Taurate Copolymer, Iodopropynyl Butylcarbamate, Lactic Acid, Panthenol, PEG-100 Stearate, PEG-7 Trimethylolpropane Coconut Ether, Phenoxyethanol, Polyether-1, Polyisobutene, Silybum Marianum Extract, Sodium Hyaluronate, Sodium PCA, Stearic Acid, Tocopheryl Acetate, Triethoxycaprylylsilane, Water/Aqua/Eau. If you want a lightweight moisturizer because you don't need a lot of moisture, then this might be perfect for you. If you have normal to dry skin, this is not heavy enough. I have sensitive skin and don't have any problems with this moisturizer, which is a plus, but I went through the bottle in several weeks. It also leaves a white residue, which is very similar to a heavy sunscreen. Since it does have an SPF, I'm assuming that's what causes the white residue. I love PCA in general and will try something different next time. 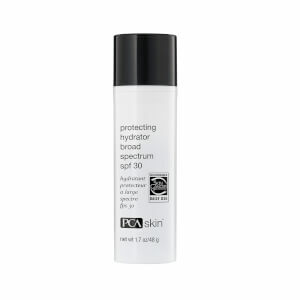 I have used Hydrator plus broad spectrum 30 for several years as an all in one skin moisturizer and protectant. It never burns my eyes and keeps my combination skin very healthy and happy. It is soothing after Lazer treatments as well.